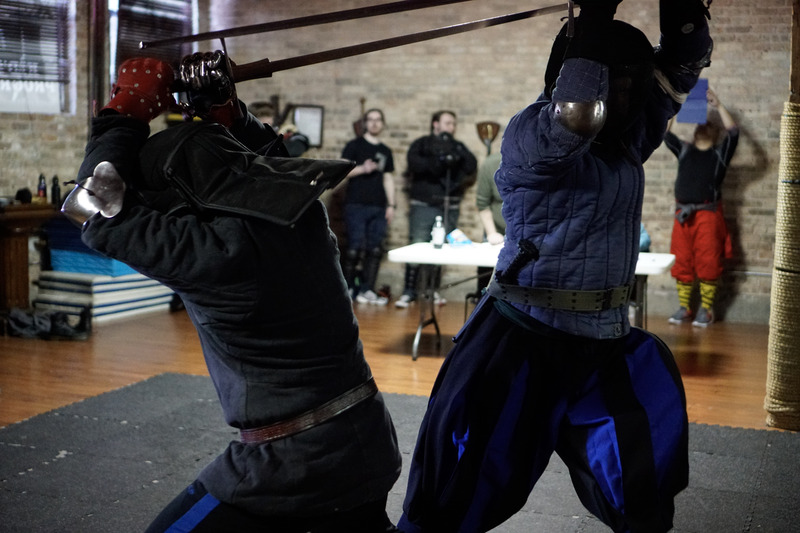 In conjunction with the Midwest Historical Fencing League and Forteza Fitness & Martial Arts the Midwinter Armizare Open is a public display of skill with one and two-handed swords in a relatively rules-light format meant to emphasize the tactical priorities of fighting with sharp weapons in lethal combat, c. 1400 – 1600 AD. You can find a PDF of the rules Midwinter Armizare Open 2019! “Hand-held weaponry require a significant amount of power, but not necessarily the same kind of power required to lift heavy weights. It has been my observation that most people use such weaponry—both thrusting weaponry such as spears and cutting weaponry such as glaives, halberds swords and the like—in a shoulder dominant manner. Some people attempt to use the hips, but do so attempting to generate torque by twisting the hip joints. Ellis Amdur is a writer, an American practitioner of martial arts and a crisis intervention trainer. He has published a number of books on martial arts, on crisis intervention, hostage negotiation,and fiction. He began his study of martial arts in 1968, learning karate and traditional Chinese arts. He started training in aikido in 1973, and after moving to NYC, lived in Terry Dobson and Ken Nisson’s Bond Street Dojo. He also started training daily at the New York Aikikai school of aikido. After gaining a degree in psychology Amdur traveled to Japan in 1976 to further his study of the martial arts, and while there, entered the Toda-ha Bukō-ryū and Araki-ryū, two traditional koryu (‘old school’ Japanese martial arts). He is a shihan (full instructor) in both these arts, one of only a few non-Japanese to attain teaching licenses in any koryu. He has also studied judo, Muay Thai and xingyiquan. In recent years, Amdur has continued his training in several areas: an in-depth study of ‘internal strength’ paradigms, as suited to use within traditional Japanese combative arts; Arrestling, a mixed martial art specifically for law enforcement, created by Don Gulla; Amdur’s ‘new-old’ development, Taikyoku Araki-ryu in which, in collaboration with established groups of expert martial artists, one or more ‘modules’ of Araki-ryu are studied in depth, and applied to the environment where the particular group functions (competitive grappling and law enforcement being two examples). He also maintains a blog, Kogen Budo. Based in Seattle, Amdur teaches courses for a variety of different venues, from law enforcement and corrections to mental health and families on crisis intervention.He also consults on situations involving stalking, domestic violence or work-site safety. Maestro Roberto Laura (A.S.A.M.I.R) returns to Chicago — and the USA — for the first time in four years to share with us the traditional fighting arts of southern Italy. This dynamic workshop will build skills from the ground up for students new to these beautiful old traditions, and refine them for those who have trained in them before. 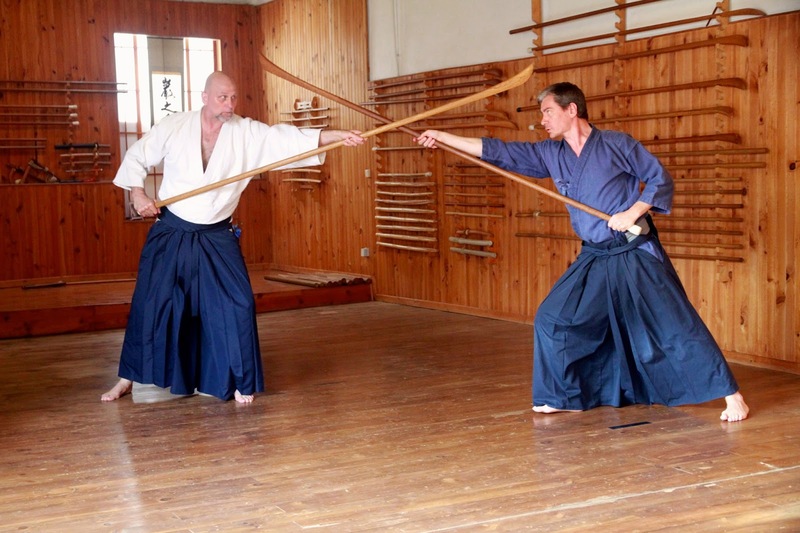 This workshop will form the basis of an on-going Knife and Stick study group, the first of its kind in the USA, so this is your chance to get involve at the beginning! The simple staff is a weapon of surprising power and elegance, taught in southern Italy through a series of solo “rules” or “figures” meant to convey different tactical lessons, and then paired exercises. In this workshop we will cover true traditional intention of all the basic figures within the different stick schools from northern Apulia and eastern Sicily, including its application fighting versus multiple opponents. A knife-trainer will be supplied as part of the workshop. $150 for the weekend. There are a limited number of spaces, so register now! Historical African Martial Arts Workshop: Ethiopian Sickle-Sword and Shield! COST: Saturday only (or one day for members of Forteza’s HAMA focus group)- $75; Weekend – $ 110. Register now! 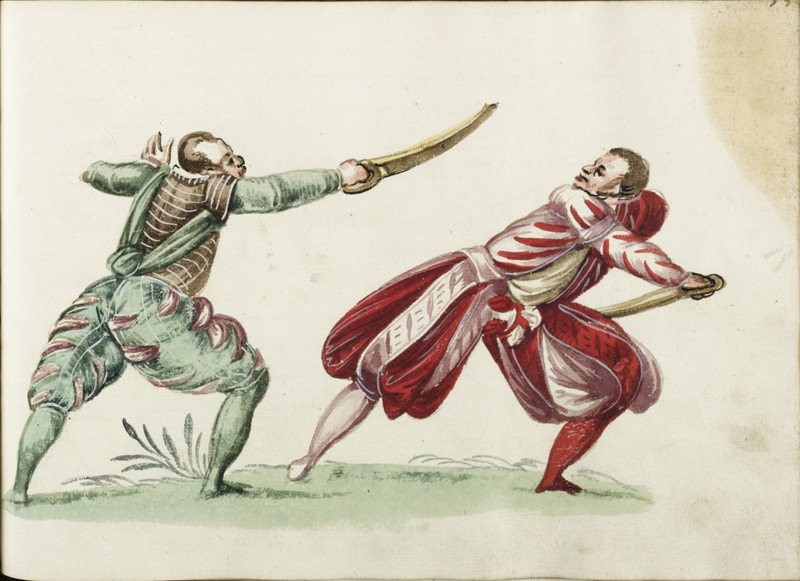 If you already have a shotel trainer and buckler, great – bring them! If you have neither of these, not a problem. Da’Mon will be bringing some extra shotels with him, and the studio has bucklers that you can borrow. Other required gear is the usual athletic clothing and protective gear we need for any sword class at Forteza. Da’Mon the president of the Historical African Martial Arts Association and is a leader in the movement to study Historical African Martial Arts. He is the Chief Instructor and Founder of Guild of the Silent Sword in Austin Texas. His martial arts training began at the age of 6 when his father gave him his first sword. He was fascinated with martial arts and warrior culture. He began his formal training at the age of 9 in Asian martial arts and progressed into African and Middle Eastern martial arts by the age of 17. He’s both a scholar and a warrior, and he devotes just as much effort to meticulous research on African martial arts as he does teaching and training in them. Undaunted by the lack of surviving martial arts manuals from the continent, Da’Mon examines secondary sources and closely studies Africa’s living traditions, including sword dances and ritualized sword fighting, that trace their lineage back to weapons such as the Ethiopian shotel. In his instruction, Da’Mon always clarifies what survives through living lineage versus what is speculative – and if it’s the latter, he will share his sound reasoning on reaching those conclusions. When not training and instructing, Da’Mon constructs training weaponry utilizing high-density plastic, hardwood, aluminum and steel. Additionally, Da’Mon is an instructor during the summer for Book People’s Camp Half-Blood literary camp. June 23rd and 24th. Saturday noon – 6 pm. Sunday 11 – 5. This is a fantastic opportunity to train with the Head Instructor and founder of Martial Blade Concepts (MBC), Michael Janich. This intensive two-day seminar will include instruction in the MBC edged-weapon system (one of the only knife-based systems specifically geared toward small, Chicago-legal folding knives), Counter-Blade Concepts (CBC—unarmed defenses against knives), elements of his Damithurt Silat empty-hand system, and the integration of these skills into close-quarters handgun tactics. All these skills are designed to give you the ability to immediately and decisively stop any assailant! This seminar is for all skill levels—from beginners to advanced-level practitioners. Saturday: This session will focus on the practical application of the knife as a defensive weapon and putting knife skills into realistic context. It will dispel many long-held myths of knife stopping power and teach you how to rapidly and reliably disable lethal threats with legal-to-carry edged weapons. Although the focus will be on the critical skills of MBC’s standard-grip system, it will follow a progressive format designed to push the limits of each participant’s skill development. It will also include the latest refinements to the MBC system and skills normally only shared with Janich’s inner-circle classes and instructors. Sunday: This session will include two major components. First, it will present Janich’s proven Counter-Blade Concepts (CBC) system of unarmed defenses against knives (and other weapons). This versatile, extremely effective system is based on a clear understanding of the realities of street knife attacks and the use of physical structure—not muscular strength—to control and disable an attacker. The second component will focus on “earning your draw” and methods of realistically getting your weapon into the fight. No matter what weapon you’re carrying, if you are attacked at close range, you must survive long enough to create an opportunity for in-fight access of your weapon. Janich will teach proven methods of integrating unarmed defensive skills with high-speed knife, gun, or other weapon deployment, as well as back-ups and recoveries to imperfect draws. He will also address weapon retention skills, disarms, and contact-distance gun and knife fighting. Participants are encouraged to bring “blue gun” training pistols, holsters, and inert/training versions of their other carry weapons. Forteza Fitness and Martial Arts, 4437 N Ravenswood Ave, Chicago, IL 60640. For more information, call (773) 271-3988 or email info@fortezafitness.com orthaynealexander@gmail.com. Cost: Pre-pay cost $200 until before May 15th. $250 after. via PayPal (“Janich Seminar”) at gmele@fortezafitness.com. Michael Janich has been studying and teaching self-defense and the martial arts for more than 35 years. He has earned instructor’s credentials in American Self-Protection (ASP – an eclectic art that includes elements of judo, aikido, boxing, fencing and French Savate), the Filipino art of Serrada Eskrima, and Joseph Simonet’s Silat Concepts and is a member of the elite International Close-Combat Instructors’ Association. He has also trained extensively in wing chun gung fu, tae kwon do, wu ying tao, Thai boxing, arnis de mano and military combatives. Janich is also one of the foremost modern authorities on handgun point shooting and is one of the few contemporary instructors to have been personally trained by the late close-combat legend Colonel Rex Applegate. Janich is the sole author of six books and co-author of seven. He has also been featured in more than 20 instructional videos on defensive edged-weapon use, use of the Filipino balisong knife, the use of throwing weapons and exotic weapons, stick fighting, and combat shooting. In addition to books and videos, Janich has been published in more than a dozen magazines and newsletters and is a columnist and contributing editor to Tactical Knives magazine. He is also the co-host of the Outdoor Channel’s The Best Defense and The Best Defense: Survival. A popular seminar instructor, Janich has presented instructional programs for the world-famous Gunsite Training Center, James Keating’s Riddle of Steel, and Joseph Simonet’s Wind and Rock training camp. He is the developer of Martial Blade Concepts (MBC, formerly known as Martial Blade Craft) — a comprehensive curriculum that covers all aspects of employing knives as personal defense tools — and Counter-Blade Concepts (CBC) — a highly effective system of defending against edged-weapons with empty-hand and improvised-weapon tactics. Janich’s MBC/CBC curriculum also forms a foundation of skill that is easily transferred to improvised weapons and empty-hand fighting skills, including his personal systems of Damithurt Silat (unarmed combatives) and Sobadiwan Eskrima (the use of sticks, canes, and other impact weapons). Collectively Janich’s teaching constitutes one of the most comprehensive and practical personal defense programs available today. Janich is widely recognized as an authority on edged-weapon design and has designed knives for Spyderco, the Masters of Defense knife company,BLACKHAWK!, noted custom knifemakers Mike Snody, Wally Hayes, Brent Beshara, and Mickey Yurco, and Combat Elite. His designs, including the “Tempest,” “Yojimbo,” and “Yojimbo2” tactical folders and the “Ronin” and “Kalista” fixed blades, have developed a tremendous following among dedicated knife users. Chicago Swordplay Guild scholar Ben Horwitz (l), trades blows with Keith Stratten of the Lansing Longsword Guild (r) at last weekend’s MidWinter Armizare tournament. The Chicago Swordplay Guild and Wisconsin Historic Fencing Association of Kenosha are pleased to welcome renowned researcher and martial artist Roger Norling of the Gothenburg Free Fencers Guild. This workshop and lecture series revolves around the life of Swiss-born Freifechter and Fechtmeister Joachim Meyer; who was both the last master in the medieval German tradition, as well as the developer of a dynamic martial arts system, presented in a surprisingly modern fashion and rooted in athletics pedagogics forgotten during Victorian times and coming into fashion again only in recent times. The dussack, a largely misunderstood and underappreciated weapon, a proto-sabre used for war and sport all the way from Italy and Austria, up to the Nordic countries and Scotland. Meyer uses it to teach all single-hand weapons. Lectures on Meyer, his life, and how to understand his work. Registration is available NOW for both the whole weekend or just one day. Roger started out as a member of Gothenburg Historical Fencing School in 2008 and starting a year later, in that club, he led a weekly group and class on Joachim Meÿer’s Halben Stangen based on his research into the topic. The last year he also led a weekly study group in Meyer’s dagger. Due to his contributions to the HEMA community he was approved as a member of the Historical European Martial Arts Coalition in 2011. He was also invited as a member by the the Meyer Freifechter Guild in 2013. The same year he founded the HEMA Scholar Awards, an annual, prestigious award given out to the best research in HEMA. In 2015 he started up a new club in Gothenburg, together with friends from the GHFS, and is since then an instructor with the Gothenburg Free Fencers Guild. The same year he also took position as president of the advisory board of the academic HEMA research magazine Acta Periodica Duellatorum. Concrete ‘Jitz: Ground Survival Workshop with Michael VanBeek, May 28th! Please join us in welcoming respected self-defense instructor Mike VanBeek to Forteza! Working from the ground back to your feet, Concrete Jitz covers every thing you need to know about defending against violence while on the ground. This is not your daddy’s Jujitisu. While Mike’s jitz is strong, he has learned that the game changes when you are facing violence in the street, rather than an athlete on mat. This workshop is about stopping violence’s ground game cold, and getting you home safe. While he basic’s of ground-fighting will be covered, there is material here that will benefit grapplers and self-defense enthusiasts of all levels. So, whether you are an accomplished grappler or are looking to add ground skills to your self-defense, this is the workshop for you. Defense against a standing opponent. When can I access my weapons? How do stop the other person from getting to theirs? 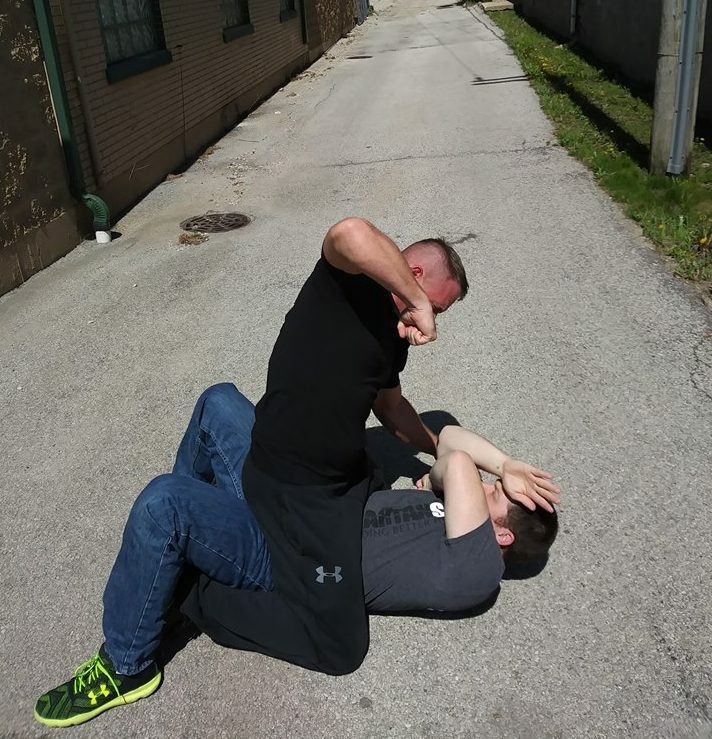 Renowned practical self-defense and personal protection instructor Michael VanBeek is the man to teach you how to defend against street-level criminals, because he knows their world from both the inside and the out. Early in life, Michael was enrolled in special-education classes and given the drug Ritalin. As a result, he endured constant bullying. To compensate for his small and skinny stature and the social stigma of being in special education, Michael’s mother enrolled him in his first martial arts class in 1978. Earning several different rankings in various traditional arts, Michael stumbled upon Jeet Kune Do in the late 1980’s. This art, made famous by its founder Bruce Lee, led VanBeek to train with many of the greatest martial artists alive. In the early 1990’s he not only maintained a victorious cage fighting record but also trained with firearms and tactical weaponry as a professional body guard, while finishing his education in Criminal Justice. As a security guard in the greater Chicagoland area, Michael was exposed to a side of self-defense/fighting not often seen in the martial arts. After spending most of his life in martial arts, working in bars and clubs, body guard training, setting records in cage fighting, earning black belts and obtaining a Senior Instructorship in Bruce Lee’s Art of Jeet Kune Do, Michael VanBeek thought he had it all figured out. He was wrong – almost dead wrong. His life took an unexpected turn and in 2004, divorce and job loss left him in a severe depression. Within two years Michael VanBeek, the once honorable Sifu, was now using drugs and alcohol to escape his depression and isolation. He very quickly found himself homeless. From the one side of Chicago to the other, Michael’s goal was survival and in many circumstances, fight or die. Whether fighting to stay alive or fighting to feed an addiction, this was not the life of a once respected martial artist. The Cook County Department of Corrections became yet another challenge. VanBeek turned his life around, re-entered the world of martial arts and reconsidered his career. He chose to dedicate his life to teaching people to defend themselves against the violence of which he became a part – the violence that almost took his life. Today, Michael spends most of his time in service working with special needs children, lecturing and presenting seminars on Counter-Violence to families, corporations, security firms, organizations and individuals. In addition to running his company, VanBeek speaks to groups about performance-related matters, using his story to inspire others. $75 pre-registration $100 at the door. Knight Camp! — Kids Experience History, Culture and Honor in a New Way! Welcome to the only authentic knight school for youth (ages 8 – 14) in the USA where knightly martial arts and chivalric virtues are taught in an engaging and safe environment by trained instructors. 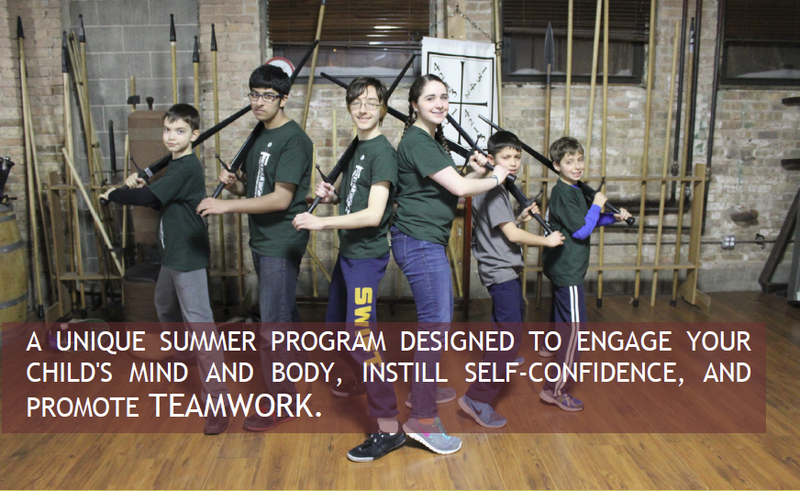 More than just another martial arts class, our summer camp follows the same guiding principle as our popular Youth Swordplay Program: developing life skills and ethical, self-confident young men and women, through the traditional, chivalric virtues of the medieval knight. Classes interweave physical training with teamwork exercises, lessons on medieval and Renaissance military history, heraldry and arms and armour to hone students’ minds as surely as their bodies. Camps take place at our beautiful 5,000 square foot facility in Chicago’s Ravenswood art district. We are within one block of the Brown Line and Montrose Ave exit for the Metra. Our unique, two-week camp combines physical fitness training and swordplay and authentic medieval games, lessons on heraldry, arms and armour and castle life. Underlying all of those activities is a daily lesson on the knightly Code of Chivalry and how the virtues it espouses — Prowess, Courage, Humility, Courtesy, Largesse (Generosity), Mercy and Temperance (Balance) — are relevant to living life today! An introduction of one of the seven chivalric virtues and how the students can apply them in their lives today. A unique physical fitness warm-up, taught through games played by medieval children centuries ago! Students learn a variety of the martial skills that the knights of old had to know: Wrestling, swordplay, and quarterstaff. A daily topic on one aspect medieval life, accompanied with show and tell or some sort of hands-on project. A second martial arts lesson, building on the first, combined with controlled sparring (using padded weapons and protective equipment). Students review the day’s lesson, explain what they learned and nominate one of their number for who best exemplified that day’s virtue. The last day of camp ends with a Tournament-at-Arms, where students will show off their skills in a special event that combines all they have learned: martial arts, heraldic display, good sportsmanship chivalric behavior, and will choose a First-Amongst-Equals as the victor of the day. Of course, parents, friends, and family are welcome to attend the Tournament!The last day of camp ends with a Tournament-at-Arms, where students will show off their skills in a special event that combines all they have learned: martial arts, heraldic display, good sportsmanship chivalric behavior, and will choose a First-Amongst-Equals as the victor of the day. Of course, parents, friends, and family are welcome to attend the Tournament! To make things easier for parents, we offer before and after care services starting at 8:30am each morning and from 3:30 to 5:00pm each day. Kids are welcome to work on activities provided during the camp, play games we have on site, or bring their own activities from home. Although time is largely self-directed, there is full adult supervision, and we’ll make sure that after each day of camp, there is much to keep their minds occupied as there is their bodies! Special Needs & Medical Concerns? If your child has any allergies or other special medical concerns, please let us know before the camp starts so that we can ensure a special experience for all campers and parents. We are pleased to present what we believe to be Chicagoland’s most unique and holistic youth summer martial arts program. Please contact us with any questions or better yet, sign your son or daughter up today! No previous classes or training is necessary. Students need only register for the week in which they want to participate. Registration by phone and in-person also available.